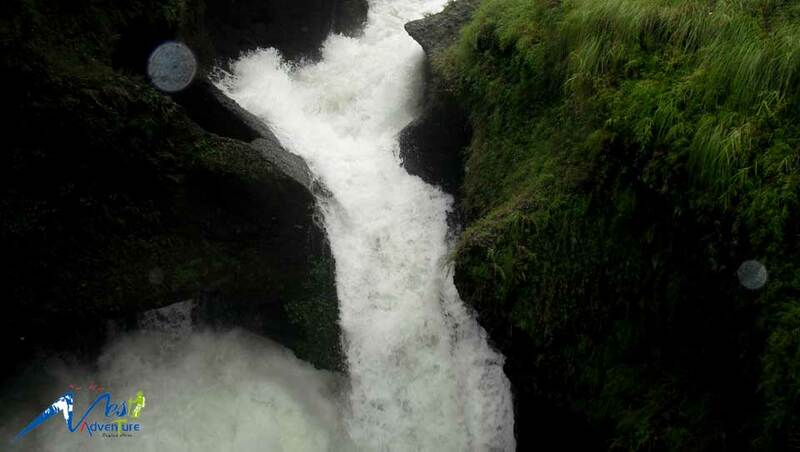 • Davis Falls – An amazing water from level of land to further deep inside land, nobody knows where does the water of Davis Fall head to, its underground. But it is something like drainage of Fewa Lake as when Fewa Lake floods all the water flow away from here. • Gupteshwor Cave – This cave extremely nearby Davis Falls where there are couples of temples inside a cave. There is facility of light to make trail and stair visible inside cave. Another interesting thing is from last part of cave we can see Davis Falls water going further down inside core of earth and of we manage to see up we can see water coming down and traversing those rocks. 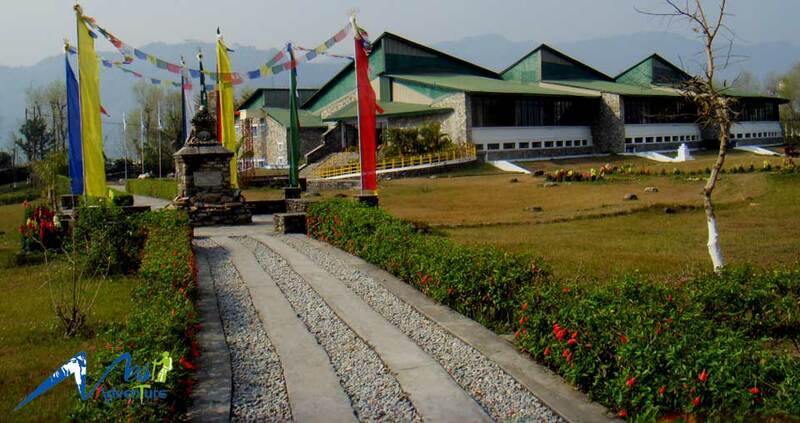 • Mountaineering Museum – It is awesome collection of mountaineering information, equipment for expedition and many more. One can feel what real mountaineering after exploring this museum. 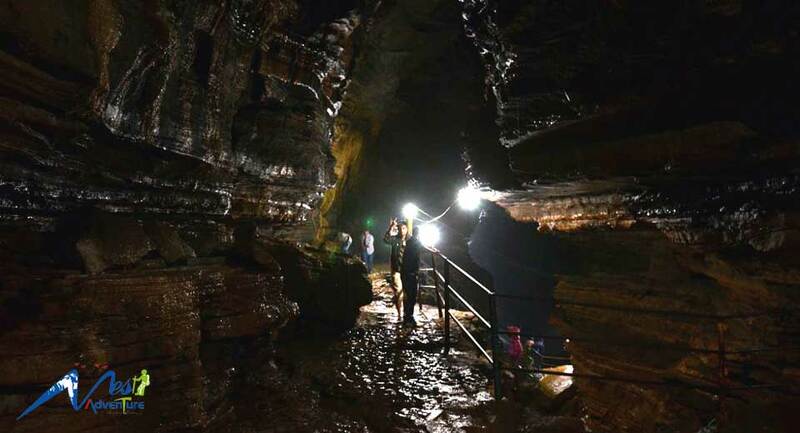 •	Bat Cave – This is another cave in northern part of Pokhara which is full of bat (Flying mammal) It might be scary as one can see the roof of cave from inside is full of bat hanging with strange smell. As if there is light it will affect bat so people need to carry small torch light, are not allowed to make a big noise. Another interesting point is exit of cave which is very narrow and technical so little fat and old people cannot exit from exit point they need to retrace back to entry point. • Mahendra Cave – Right in front of Bat Cave around 1 km far there is Mahendra Cave which is big park and cave in the middle. It is in the shape of capital Y. So after reaching one end people need to retrace back via same trail and they have two options for exit either same entry point of little bit difficult and narrow exit point. • Tal Barahi Temple – This is another important temple of goddess which is entirely located in the middle of lake as one need to hire a boat in order to reach the temple. It is like an island in the middle of Fewa Lake. Boating around lake is super with reflection of Annapurna Range on lake. • Sarangkoat – It is small hill station in end of valley which offer extremely amazing sunrise over Annapurna Ranges, as in the morning we cannot describe it in word how amazing will be the view. Extreme close up view of fishtail mountain amazing simply amazing. But for this one need to get up early in the morning before sunrise and reach the top of hill for once in a lifetime sunrise. •	Stupa Hill – It is newly constructed stupa, a white dome for shake of peace in world so it is also known world peace pagoda. Right above the lake is the stupa from where crystal clear lake can be figure out, small Buddhist monasteries is another center of attraction. And this spot is famous for sunset as very long mountain range can be observed. • Paragliding – With the help of glider maintaining balance with wind people fly from the top of Sarangkoat like a bird with aerial view of lake and Pokhara city along with backdrop of Annapurna. Just feel free fly here and there with professional gliders is amazing experience as Pokhara belong to top spot for gliders. Right before landing by the side of lake might be scary as there is no engines one need to balance the entire glider with air but don’t worry our professional gliders are always there. • Zip Flyer – It is world's longest zip flyer with extreme difference in altitude. It is new concept in Nepal and probably one and only one zip flyer in Nepal. So get ready to roll down in the world's longest and scary zip flyer. •	Boating in Fewa Lake – Paddle over huge lake with reflection of Annapurna is one of the best experiences in Pokhara. One can row a boat by self or hire professional rower however life jacket is mandatory. How can I go to Pokhara...? 1. Flight Option – One can attend domestic flight from Kathmandu to Pokhara on small jet which takes around 20 to 25 minutes. The flight is simply awesome with mountain range of right side and low land below. Current official rate of Kathmandu to Pokhara one way flight is US $ 104 per person. However cost are always negotiable depending upon flow of passengers, stock ticket, time gap of booking as we offer cheaper price then official price of Kathmandu Pokhara. Please inform us as soon as possible to get stock ticket in lower price. 2. Drive Option – Every morning Tourist Coach depart to Pokhara at sharp 7 A.M in morning which took around 7 to 8 hrs to reach Pokhara and regarding the cost it start from US $ 8 to US $ 18 per person for one way transport. Although long it is quite interesting to drive to country side of Nepal. Not only that another option if rent a car, depending on number of people of group suitable car can be hired which is quite comfortable and cozy in compare to bus ride. The price of car from Kathmandu to Pokhara start from US $ 100 one way up to person via sedan or hatchback car.